Some years are better than others and some years are simply great. 2001/2002 was a very successful year for climbers on my programs and for me personally. Let's hope that 2003 can be just as successful. I thoroughly enjoy climbing with our customers and do so every chance I get. That's one of the things that distinguish IMG programs from many others on the market today. George, Eric and I are out in the field with our teams as often as is possible. Hopefully, you'll be able to find the time to join us in 2003. Visit the web site and find a trip that looks interesting or give us a call with your ideas for a private group trip. 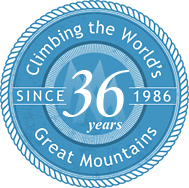 We're anxious to help provide you with rewarding and enjoyable mountain experiences. Our November 2002 Mexico trip went off without a hitch. But that seems to be the case with most of our Mexico programs. What a sweet way to climb two peaks around 18,000 feet, get some sun, drink a couple of beers and do it all within a one week period. Obviously I'm prejudice, but our Mexico Volcanoes itinerary has to be the best available. Very few groups go to the effort and expense that we do when we take our group up the Ayoloco Glacier route on Ixtacciuatl via a remote approach. But, it's a much more interesting and enjoyable way to climb Ixta. One of our team members had to return home early because of some family issues but all the other climbers reached the summit of both peaks. I was assisted by Ed Leas and our wives, Melinda and Susan, also climbed with us. Ed and Melinda had so much fun that they went home and had a baby. Congratulations to them both. This trip is always fun and our 2002 programs were no exception. We conducted three Ecudor trips in 2002. All were highly successful and enjoyable experiences. Our January 2002 trip had the best weather I've seen in years. Each day seemed to be better than the last. Chimborazo has not been in good condition lately but Cayambe makes for a great alternative. I rarely miss an opportunity to go to this incredible country. Plus, we work with the best local guides and have done so since 1979. Without a doubt, the people with whom you're climbing make all the difference. Don't miss this trip. We'll be in Ecuador in January and June 2003. Visit the web site page, fill out the forms and join me. Congratulations to Kent McClelland, Mike Bourdo, Glen Wright, Jack Palmer, Greg Hritchko, Daniel Federowicz, Paul Greenberg and James McGuire. We do a second trip each year in June. There is typically another good weather window at that time. Chris Booher led the June trip for me as I had just returned from Mt. Everest. Chris is a strong technical climber and a great guide. The June 2002 team climbed both Cotopaxi and Cayambe and had a great time. Many are already scheduling a trip to Elbrus for next summer. Congratulations to Ward Hendon, Julia Debold, Terry Belden, Gary Lee, Steven Larson and Ted Brown. I also led two private group trips to Ecuador last winter. If you have a group of friends or family, this is a great way to climb on YOUR schedule and to customize YOUR program to best suit YOUR requirements. Tommy Harper put a group of his friends together and we went down to Ecuador in December 2001. I think it's fair to say that the team more than enjoyed Ecuador and I enjoyed sharing it with them. Congratulations to Tommy Harper, Anthony Galluzo, Jerry Wise, Bracken Brown, Rob Shrieve and Jeff Swetnam. We had another private group in February 2002. Most of these guys didn't know one another until we climbed together in Russia in August 2001. They all got along so well that they decided to do more climbs together. They still seem to like each other and are scheduling climbs to Antarctica this fall and McKinley next spring. I'll go with these guys anywhere. Congratulations to Peter Raphael, Kevin McCall, Ben Browne, James Gardner, David Jantzen, Sam Wiedermann, Todd Eichhorn and Susan Ershler. There is nothing easy about climbing Aconcagua. It's not like climbing Kilimanjaro and shouldn't be looked at that way. This is a demanding trip physically and remains a serious high altitude challenge. We had a nice group of people on our February 2002 team. They successfully climbed Aconcagua under the leadership of Mark Tucker, Chip Madeley and Dave Hanning. It's never easy to summit Aconcagua but this team did a great job of taking care of each other and keeping their eye on the prize. Their efforts paid off with a great summit. I want to specifically commend Charlie Hyde. He attempted the mountain in 2001. Charlie didn't summit on that first attempt but stayed focused and went back this year and nailed it. You should be proud, Charlie. Congratulations to Patrick Montoya, Alan Rebernik, Garfield Prebor, Charlie Hyde, Martin Rothberg, Christian Axel, Donna Moore, Ron Axel and Dan Byrne. We'll be back on Aconcagua this winter as we have been since 1981. Will you be with us? I like trips when 100% of the team members reach the summit. That's exactly what happened on our August 2002 expedition. We had 10 climbers on the team and 10 climbers reached the summit. Nice job, gang. 2003 will be the 300th anniversary of the city of St. Petersburg. There were numerous restoration project underway when we were there this summer and next summer should be a great time to see the city. One of the nice points of our Russia itinerary is the fact that we visit both St. Petersburg and Moscow. Most of us won't get to Russia on a regular basis and you'd be crazy not to take every advantage of the opportunity while you're there. We'll have organized tours in both St. Petersburg and Moscow. We also have the opportunity to spend a couple of days doing technical training in the Caucasus prior to our Elbrus climb. It makes for a nice package. Combine that with the fact that we are able to climb with a great Russian friend, Igor Tsarouk. Let me emphasize that people like Igor make the difference between a good trip and a great trip. The people with whom you share your experiences are the single most important factor in your enjoyment of a climb. The August 2003 trip is rapidly filling. Don't delay if you're serious about joining me next summer. Congratulations to Dennis Honeychurch, Gary Lindberg, Lewis Nescott, George Bryce, Jeff Bryce, James Abend, John Newell, Robert Seeds, Richard Schmidt and the ever amazing Jill Jones. It's almost impossible to not enjoy this trip. The climb is a good workout and loads of fun and the safari is the ultimate finale. Our current itinerary is better than ever. We take a full 7 days to climb the Machame route and descend the mountain. That means you'll have plenty of time to acclimatize, get to high camp early in the day and have an excellent shot at the summit. We have never missed in all the trips we've conducted. We fine tuned our safari schedule for 2002. It begins with a charter flight to the Serengeti and continues with game viewing at Ngorongo Crater and Tarangire, staying at some of the nicest lodges available. You really need to find the time to join us. Our 2002 trips went off without a hitch. We have great, long-term relationships with our African outfitters and they do a consistently good job of taking good care of us while we're in Tanznia. The August 2002 team was led by the infamous Mark Tucker. I know people will have fun when Mark is at the helm. Congratulations to David and Mary Schlimme, Adam and Sarah Schwartz, Stan Krzysik, Ishtaj Rahman, Gina Tringali, Eileen, Colin and William Golden and Jeff and Beth Killion. Jeff Ward led all members of the September 2002 team to the summit. What a team! I want to especially commend Al Worden. Al is an old friend who did a super job getting into good shape for this trip and staying focused on taking care of himself and getting to Uhuru, the true summit of Kilimanjaro. Congratulations to Alan Worden, David Wolf, Franc Roddam, David Nochimson, Larry and Jana Long, Thomas and Roberta Dunn, Stephen King, Alan Carnes, John McCoy and William Denk. Our October 2002 is now home. With John Race leading the climb, I felt confident that the team would have no trouble reaching the summit and enjoy seeing lots of wildlife on safari. That was indeed the case. Congratulations to Stephanie Hutchinson, Erin and Kevin Hart, Heather Neumann, Carla Chieffo, Chad Allen, Gail Bredis, Nicola Hunn and Stewart Fleming. I always enjoy climbing with our customers but I also enjoy working towards personal climbing goals. As many of you know, my wife, Susan and I have been working towards completing the Seven Summits together as a married couple. Not an easy project but one I wouldn't have missed for the world. There's an old saying about 'joy being doubled because it was shared'. It's true. I want to thank my partner, Eric Simonson, for letting Susan and me tag along (he still charged us) on his successful 2002 Everest expedition in Nepal. On May 16, 2002, Susan and I reached the summit of Everest together. Things worth doing aren't necessarily easy and Everest certainly wasn't for us. We first planned to go in 2000. I found myself in a hospital a couple of times in the fall of 1999, battling complications from a couple of major surgeries and then spending several months trying to recover. But, short term set backs don't have to result in failure. Not unless you quit. The spring of 2001 found us on Everest at 27,500 feet. An eye problem kept us from going further but we were very happy with our performance. I had always said that the worst thing that could happen on Everest that year was for us to go, do well, have a good experience and then not summit. If that happened, I knew where I would be spending the spring of 2002. One of the difficulties with doing the Seven Summits together was that everything had to be 'right' on the summit day but it had to be 'right' for two people at the same time. Lots of room for error. However, sometimes you just get lucky. Remember the old saying about luck being when opportunity meets preparedness? That the way it was for us on May 16, 2002. The weather was great, our Sherpa crew was great and we were ready. We reached the summit, I turned to Susan and said, "you made it, baby". I had stood alone on the summit on October 20, 1984 after having climbed the North Side of Everest. That was a great day for me. This was better. Susan and I wish to sincerely thank all of you who followed our progress. We carried your thoughts and good wishes with us to the summit. I'd like to start by taking a quick look forward to my 2003 climbs. We kick off the year with our great winter Kilimanjaro programs, with 3 trips slated for the January-February season, and another climb in June. In March we will return to Mt. Everest with an expedition to the Tibet side of the mountain. We already have a nice group forming up to trek from Tingri, Tibet to Rongbuk Base Camp, then continue all the way up to Advanced Base Camp (over 21,000 feet, the highest point on earth that can be reached non-technically). We'll also have a group of climbers who will tackle the famous North Col (to 23,000 feet). The great thing about the North Side is all the history associated with this area. At the same time we'll also have a group on the Nepal Side of Mt. 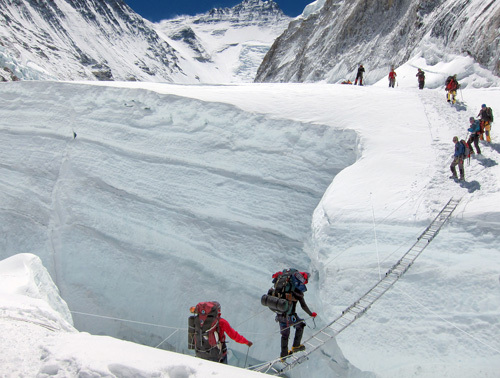 Everest attempting to climb to the summit, as well as another group heading up the Khumbu Icefall to the Western Cwm. 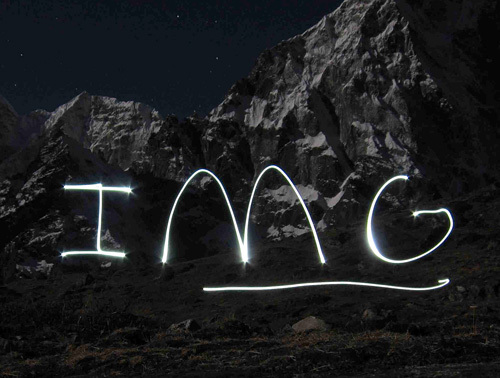 In June I will send another team south to Bolivia, which has become a popular trip for IMG over the last several years. Our new itinerary includes plenty of acclimatization time (one of the most important things to ensure success) and ascents of both Huayna Potosi and Illimani. We will also again offer a 6-day extension for those interested in climbing Bolivia's highest peak, Sajama (21,486'), located well off the beaten path. After a summer on Mt. Rainier I'll be sending another team to Cho Oyu in August, marking IMG's 12th consecutive expedition there. 2002 started out pretty grim, as the whole world reeled from the terrorist attacks. Our business was down over the winter, but fortunately, we did not have to cancel any programs. Interest in Kili started to pick up after the winter and steadily increased. I ended up organizing a total of seven groups in 2002, the most I have ever done in a season. They were all successful and we had a series of great trips. Thanks to guides Craig John and Greg Wilson for a terrific job keeping everyone safe and leading most of the climbers all the way to the top. Our February 1 team was led by my longtime friend Wang Yongfeng, from the Chinese Mountaineering Association in Beijing. Wang was the first Chinese climber to do the Seven Summits. I led the final group, in September, part of a fund raiser for the Webb Waring Institute in Boulder, CO, which put 28 persons on the summit and raised over $350,000 for cancer research. September Webb Waring private Kili group: Pamela Creswell, Barry and Gay Curtiss-Lusher, Christopher Eggers, Dave Eggers, Bill Elliott, Thomas Gart, Alex Gart, Margie Gart, Sue Hilb, Thomas Hilb, Brooks Hybertson, Tad Kelly, Wendy Kelly, Chris Korsh, Kathy Loo, Greg Marshall, Andrew McEntire, Simone McEntire, Edward McEntire, Susan Musgrove, Alice Norton, David Puckett, Gary Roth, Mary Schaefer, Judy Sellers, Amy Slothower, Bryson Slothower, Hill Slothower, Diane Steward, Marshall Swanton, Gary Thompson, Terre Trumble, Mike Van Straaten, Vendela Vida, Nan Williamson; Eric Simonson, Adam Angel and Jake Norton (guides). Our 2002 expedition in March-May marked the twelfth Everest trip that I have been associated with and the ninth time that I have personally been to the mountain. Like every Everest climb, this years trip was again different from any program we had done before. In addition to our IMG non guided climbing team, we had a great Base Camp trekking group, several Island Peak climbers, and several climbers on the permit to attempt the Khumbu Icefall. Joining the IMG groups at Base Camp was the Ford No Boundaries Women's Expedition, for whom IMG provided all logistical support. 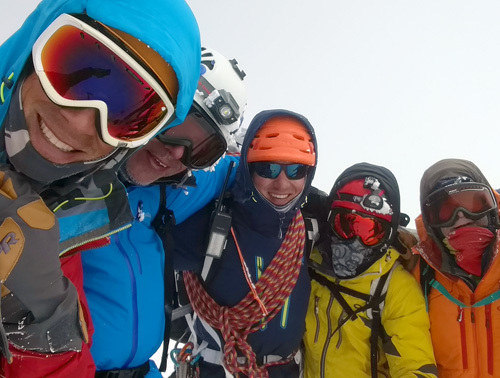 Our non-guided IMG team was successful on May 16, with Phil and Susan Ershler, Ted Wheeler, and Stuart Smith reaching the summit along with Sherpas Danuru, Mingma Ongel, Dorje Lama, and Mingma Tshering Sherpa. Climber Kevin Flynn made a tough decision to stay at the Col in support. I'm sure he'll be back in the future to give it another shot. Joining Kevin at the Col was IMG's Mark Tucker who played the role of South Col traffic cop, making sure everyone was OK and got down in one piece! 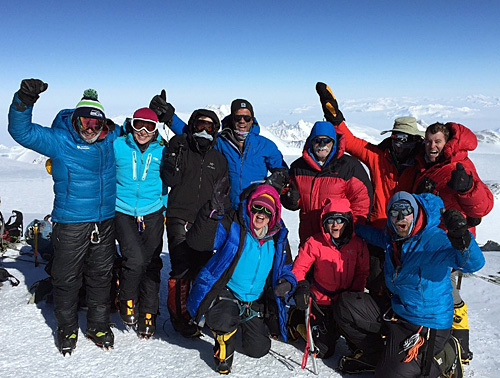 The Ford Women's Team hired their own guides for their climb, and climbed independently from the IMG group, reaching the 28,750' South Summit on May 18, before bad weather sent them down. Jake Norton, hired as a photographer by Discovery.com for the trip, and on his third attempt on Everest in four years, was able to sneak up the last 100 yards along with Karma Rita Sherpa. The 2002 IMG Bolivia expedition, led by veteran guides Craig Van Hoy and Ben Marshall, was a very exciting trip. After several days spent acclimatizing atround LaPaz and at Lake Titicaca, the team headed for the first climb, Huyna Potesi (19,974'), which was successfully climbed. After returning to LaPaz for a shower and night at the hotel, the team next headed for Illimani (21,200'). This beautiful mountain and interesting route offered sections of steep snow and ice which required fixed rope and solid climbing skills. The group made it to high camp, but during the night the weather turned bad and it started to snow, forcing a retreat the next day. Finally, Ben and several of the group headed for Sajama, Bolivia highest mountain (21,486' ), but were again turned back by heavy snow. Oh well, it was a good trip nonetheless, and the group did well. We conducted Cho Oyu in the autumn season in 2002, our eleventh expedition to the world's sixth highest mountain. Joining our climbing team was our Cho Oyu trekking group. The trekkers visited ABC and some went up to Camp 1. After that they trekked over to Rongbuk Monastary and visited Everest Base Camp, before heading back to Kathmandu. The climbers had an interesting trip this year, with quite a lot of bad weather. I'm pleased to report that under the leadership of Ben Marshall and Mike Hamill, they were able to reach the summit on October 1, on their second summit attempt. Their first time attempt was turned back by stormy weather. This marks our tenth successful climb of Cho Oyu, with over 80 successful summit climbers since 1995. 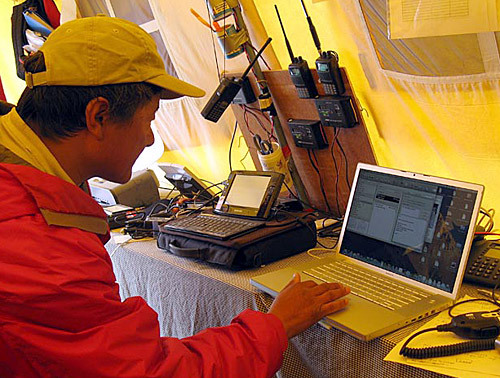 IMG provided logistical support to the Singapore Shishapangma Expedition during the Spring 2002 climbing season. We were pleased that some of our climbing friends from Singapore, who had previously been to Cho Oyu with us, chose to work with IMG for their alpine style climb. After doing over 20 expeditions in Tibet, we have these trips dialed! The Singapore team successfully reached the summit. I had the opportunity to return for my third successful climb of Mt. Vinson in Antarctica in January 2002 with a very special team. I was joined by Dave Hahn as my assistant guide (given Dave's twenty odd climbs of Vinson, suffice to say I had a good back up! ), our old friend and scientist Dan Mann from the University of Alaska, and Larry, Stewart, and Henry Huntington, also old friends and veterans of Denali and other high mountains of the world. It was great being back down there with such a compatibale group, especially one where everyone was a good skier! We had a blast, summitted on a gorgeous day, and had a great ski down. After the climb, Dave and Dan stayed to collect rocks from the Ellsworth Mountains for research Dan is conducting on climate change. It seems like I say this every year, but 2002 was probably my best ever. Before reflecting back on last year, I would like to say a few words about the programs I have lined up for 2003. In January and February I will run the ever-popular Ouray Ice Climbing Programs. No previous experience is required to attend either the 3-day or the 5-day session. Many first time visitors wonder if they will burn out before the end of a 5-day seminar. On the contrary, by day two or three your skill develops to the point where you start to conserve energy and use your technique instead of arm strength. The final two days are the most fun! The veteran's programs are simply that: courses for persons who have attended our Ouray programs previously. We don't necessarily climb harder routes, but we do look for different climbs to do and enjoy meeting up with old friends in a terrific local. I am always happy to schedule private trips for individual groups around our regularly scheduled dates. As this newsletter goes to print I am planning a new ice-climbing trip to Valdez, Alaska for March of 2003. Tentative dates are March 2-7. This will be open to past veterans only. In late March and early April we will once again offer our popular ascent of Mt. Whitney via the Mountaineer's Route. 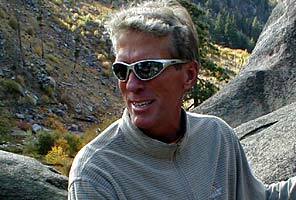 I contract this program with Kurt Wedburg who guides under permit in Inyo National Forest. This is a beautiful 4-day snow climb and a great spring getaway. In mid April I will lead a trip to Mt. Sanford in Alaska. This is an Alaskan expedition-style glacier climb of a 16,000-foot peak in the Wrangell Mountains. A great introduction to Alaska! I return in mid-May to tackle Mt. Blackburn in the same area of the Wrangells. Mt. Blackburn is a more technical climb and participation in this program requires advanced climbing skills. We'll be using two tools, ascending fixed rope up a vertical ice cliff and climbing steep snow and ice. Mt. Logan (19,850') is the highest peak in Canada, and an equal in every way to Denali. I'll be sending off another ski expedition in late May after our good success there in 2002. This July and August it will be time to visit Europe. The ever popular Brent Okita will be leading a trip to Northern Italy and the Dolomites in July and I will be heading up two of my favorite programs: Classic Climbs in the Alps and The Matterhorn through the month of August. I plan to offer another new program in August: Alpamayo, Peru. Anyone who enjoys the mountains has seen photos of Alpamayo and it is an outstanding high altitude ice climb. 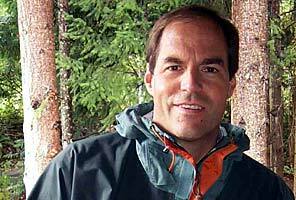 Jeff Ward will be leading the Alpamayo expedition. In October, after the heat of the summer is over, it will be time to kick back and think about rock climbing. What better place to learn the fundamentals of rock than Joshua Tree in California. This is one of the world's great rock climbing areas and should not be missed. I don't need to sell the Ouray programs any more, they sell themselves. With normally perfect weather, great ice and a beautiful setting, Ouray has it all. I am so proud of the guide staff I have in Ouray: Jeff Ward, Jake Norton, Chris Booher, Ben Marshall and Mark Cionek. You can't find better instructors anywhere. I make sure to go myself every year, my winter wouldn't be complete without a trip to Ouray. Veterans January 7-11, Cole Hanley, Nola Royce, Steve Bomar, Heather Hammond, Greg Fowler, Guy Orangio. January 13-17, Melanie DeSilva, Suman Malempati, Tim Barber, Chuck Marini, Dan Nemoto, Marc Sargis. January 24-26, Kevin Carnes, Ryan Blatt, Tim and Ronna Smith, Sean and Liz Gallup, Steven Lynn. January 28-February 1, Matt Kowalczyk, Carl Werts, Rex Schaberg, Mike Creamer, Blake Baker, Joe Hooper. February 3-5, Tracy Purcell, Kathryn McMinn, Derek Allen, Dan O'Neill, Cary Myers, Clif Cassidy. February 13-15, private trip, Keith Cummiskey, Dan Cummiskey, Joe Ladowski, John Ducker, Paul Later, Eric White, Bill Pond, Greg Pond. February 24-26, private trip, Nick and Alexander Subashi. February 27-March 1, private trip, Bill Cossaboom, Jeff Wells, Sue Lansil, Peter Zuzga. Mt. Whitney makes for the perfect 4-day spring getaway to the mountains. The weather is almost always beautiful. The first program in 2002 had bad weather and didn't get to summit. The second two programs enjoyed perfect weather, and I was fortunate to be on both of them. What a fun climb! I contract the Whitney program with my friend and fellow Rainier guide, Kurt Wedburg. 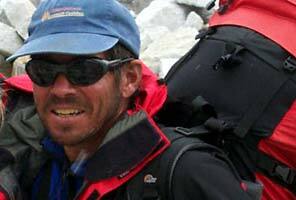 Kurt guides on Whitney under permit with the Inyo National Forest. March 21-24, Claire Durio, Clifton Majoue, Kristan Wegerson, Sergio Vasquez, Keith Ramsey, William Tomaszewski, Douglas Stone, Jane Bidwell, Ted Martin, Benjamin Kennedy, Steven Sage, Dan Foss, guides Neil Satterfield and Chris Ecklund. April 4-7, Jamy Bacchus, Dale and Dori Schmidt, Mark Reitman, John Dahlem, Ryan Dahlem Brian Valente, Tim Smith, Sean Gallup, guides George Dunn, Paul Maier and Kurt Wedburg. April 11-14, Troy Burke, Robert Austin, James Swetnam, Cliff Ostrum, Tim Burch, Turner Britton, Lawrence Shawaga, Charlie Larnard, Fritz Pameijer, David Pippens, guides George Dunn, Paul Maier and Neil Satterfield. In 2002 I revisited one of the big peaks in the area, Mt. Bona. We had hoped to try a new route on the north side, but ended up landing on the Russell Glacier. This was the route of the original ascent, and had probably only been done three or four times before. We ended up doing a very interesting and demanding route up through a jumble of crevasses and got to high camp. A storm prevented us from summiting, and we had to descend due to lack of time. We felt like we did the route, and best of all, we all had a super time. Mt. Bona, April 18-29. Nola Royce, Guy Orangio, Mark Cole, Tony Ferrie, guides George Dunn and Chris Booher. I was glad to get back to Mt. Logan last year. We had a great team and a super experience. Mt. Logan was such a pleasant alternative to Mt. McKinley, I have already sworn to never do McKinley again. Logan has spectacular scenery, is probably the largest mountain mass in the world, and very few climbers. Best of all, it is a very skiable mountain and it really should be done on mountaineering skis. The summit plateau of the mountain is enormous. Part of our group made it to the West Summit, but the actual high point is the East Summit, another hour beyond. We'll hope to tag that one next year! May 12-June 1, Bill Gibson, Lee Jennings, Brad Skidmore, guides George Dunn and Vince Anderson. The summer was a wet, snowy one in the Alps last summer, but our programs pulled off some awesome climbs despite this. Even when the weather is bad up high in the Alps, there is always fun climbing to be found down lower. The Classics trip did a great job of pulling off most of the climbs on the itinerary. The Matterhorn trip did some great climbing, but sadly the Matterhorn itself was snow covered and unclimbable for most of the summer. August 5-18, Classic Climbs in the Alps, Mat Kowalczyk, Steve Bridges, Bill Borland, Lansing Ross, guides, Paul Maier and Vince Anderson. August 21-28, the Matterhorn, Larry Johnson, John Donovan, Tom McGinley, guides Paul Maier and Vince Anderson. The Joshua Tree seminar is the place to be if you are looking for an introduction to rock climbing or just wish to visit a spectacular park next fall. The climbing is superb and the weather is always good, not to mention the company. October 8-12, Cole Hanley, Craig Colvin, Dori and Dale Schmidt, Keith Cummiskey, guides Jeff Ward and Chris Booher. As this newsletter goes off to print I will be heading down to the tip of South America on Halloween to lead a program with Dave Hahn for Geographic Expeditions. We will be recreating Shackleton's crossing of South Georgia Island, but will skip the wintering over on the ice pack. I'll be back the last week of November. Drop me a note then and let's plan our next adventure. I continue to guide for Rainier Mountaineering Inc. on a regular basis. My current summit count is 450. Come visit me on Rainier this winter where I act as director of winter programs. A Winter Expedition Seminar on Mt. Rainier is great training for any major expedition. A great way to test out your gear for Alaska! As usual, I plan to lead one climb of Liberty Ridge on Mt. Rainier in early June. This year it will be June 8-12. 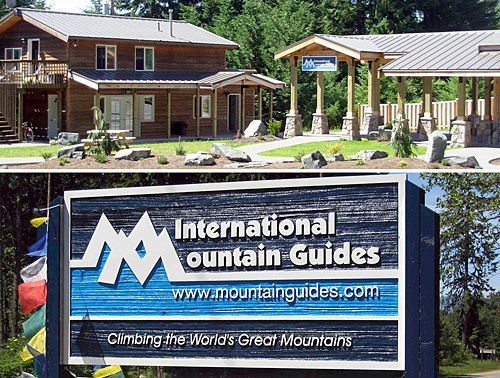 Contact Rainier Mountaineering Inc. if you have any questions about these programs on Rainier. I'll hope to see you in the mountains in 2003.